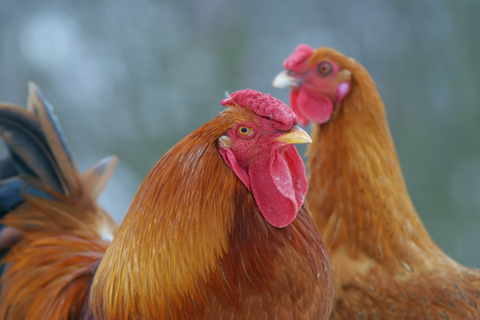 There are many reasons to have a chicken coop in your back yard. The most obvious reason is a constant supply of fresh eggs, but also keeping and caring for the chooks is a valuable life lesson for children. Also keep in mind that chooks are great recyclers of kitchen waste and consequently increase the health of your soil while keeping pests under control – all part of a sustainable life style. 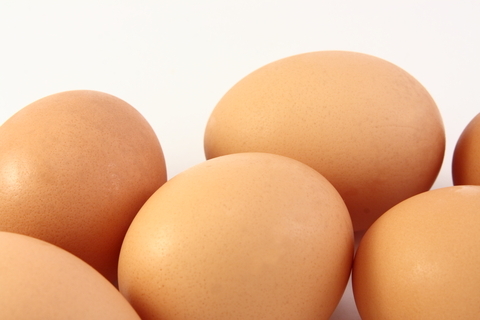 One commonly asked question is “How do you tell the eggs are fresh”? Simple, when you break them the “white” stays thick or “stands up” rather than runs all over the bottom of the pan. And there’s no doubt fresh eggs taste better and are better for you. So, what are the requirements for a backyard chook pen? Firstly you need to check with your local council to determine the rules regarding the keeping of chooks in your area. Secondly the hens must be kept safe from predators by having some form of enclosure to protect them from foxes, snakes and wild dogs. You can build the traditional chook house with nesting boxes enclosed with chicken wire, but there are many excellent commercial enclosures on the market. Some are mobile so that they can be moved from place to place. If you need more information contact your local Dept. of Primary Industries web site where there are suggested chicken coop designs. Thirdly a good source of fresh water is critical. The “drinkers” need to be regularly cleaned and filled whether they are the homemade variety or automatic systems that are available for sale. Fresh water is the most important nutrient for all animals and certainly this applies to poultry kept at home. The type of chook that you buy is important. There are two types of hens that you can buy: day old “laying” chickens (not meat chickens) or “point of lay” birds that are 18 to 19 weeks old and are ready to start laying. You normally get both from your local Produce Agent. “Day olds” need to be kept warm for the first 3 weeks in some form of enclosure with a heater. This is particularly important in wintertime. During the first 4-5 weeks they should be fed a commercial Chick Starter Crumble. Then they go onto a Chick Grower Pellet, until they commence laying. “Point of lay” hens should go straight onto laying feed. Your local Produce Agent will have information on these feeds and you should read the labels or printing on the bags as well. Most layers start laying at about 18 to 21 weeks of age, and should immediately be changed onto a layer feed. This layer feed is specifically designed to provide both vitamins and minerals to chooks actually laying eggs so this feed should not be feed until you start to see eggs. By about 25-28 weeks of age laying hens will be laying almost one egg per day. They lay at this level for a month or so, and then over the next 20 weeks the rate tapers off to less than 1 egg every third or forth day. The first laying cycle ends when the bird is about 12-14 months of age. Depending on the time of the year, after this first cycle the hen will “moult”, which means they will lose a lot of their feathers, especially around their tail. They then commence laying again, but never at the same high rate as the first year. Why do they moult? Losing the feathers is simply a sign that the hen is giving its reproductive system a rest and allowing it to rejuvenate before it starts laying again. One very important thing that impacts on how well a hen lays is the day length. After June in the second half of the year the day length is slowing increasing and this stimulates egg production, whereas in the first half of the year the day length is slowly decreasing which inhibits egg production. This means that you will normally get more eggs in the second half of the year than in the first half, especially with young layers. The next article will cover the feeding of layer hens in more detail and also answer many of those questions that people have when they own laying hens.